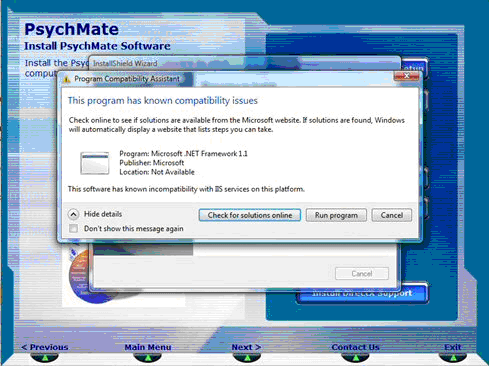 This notification occurs because the version of the .NET Framework installed as part of PsychMate is not compatible with the Windows Vista IIS service. Since PsychMate does not require the IIS service, this notification can be safely disregarded. Simply click the 'Run program' button to continue. The installation should continue successfully and no problems with PsychMate should occur.